We offer a range of consulting services–all designed to help your company reach its potential. Whether you’re looking for a small tweak or complete overhaul, we have you covered. Our services are available a la carte so you can get precisely what you need. 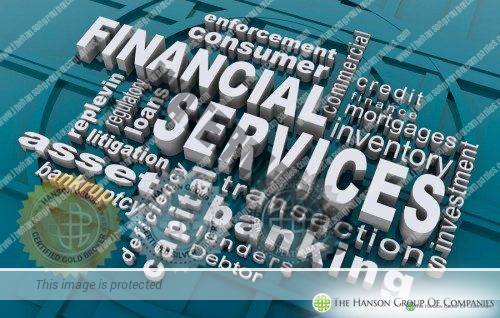 The Hanson Group solely lives, breaths, focuses on and deals with the following Financial Instruments: Bank Guarantees (BGs), Standby Letters of Credit (SBLC), Mid Term Notes (MTNs), Long Term Notes, Letra do Tesouro Nacional, National Treasury Notes of Brazil (LTNs), Private Placement Programs (PPP), Monetization, Funding, Buying and Selling Financial Instruments, and Financial Instruments Consulting. We have conquered the financial instruments industry from the inside out with some of our staff coming directly from working in the Financial Instrument Departments of World Top 25 Banks. Our business has close personal relationships, direct access and strong long term operational partnerships with Bank CEOs and Department Managers, Bank Financial Instrument Departments, Trade Platforms and countless other finance, banking, trading, monetization, and funding experts. We are immersed in the World Financial Instruments industry permanently. That is our niche, our core competency, our passion, our focus, and our exceptional expertise. We are the #1 World Financial Instrument Specialists who close deals, complete transactions, protect customers and achieve results others only talk about. Our unparalleled industry experience, contacts, knowledge, and relationships enable us to provide a wide variety of quality financial solutions to clients that are unique, powerful, very profitable and can be seamlessly transitioned through to gain exceptional results. Here is an example: We can take a Clients Deposit and place it in the Deposit Refund Protection Program which enables the client to have all their invested capital returned to then within a few weeks, we can then use the funds from the Deposit Refund Protection Program to enter the Managed BG (Bank Guarantee) Program and generate the client 40M, then we can take the 40M and place it in a PPP (Private Placement Program) which pays the client 05 to 20% a month. We offer unique protections and common sense solutions, that’s why The Hanson Group is #1. We at The Hanson Group are Funding Facilitators with a track record of success in business. We earn SUCCESS FEES – not up-front fees. We only make money if our clients obtain the funding they are seeking. We provide services to a few clients at any time. We do not troll for leads and them shovel them to our partners – instead, we focus on providing a select few pre-qualified projects to our funding sources – projects that have a better than average chance of success. We act as a clearinghouse for very intelligent investments on behalf of our funding partners, and a great source of qualified leads to the projects that are accepted for representation. We look at each project independently. Some are appropriate for funding sources that are available, others are not. It’s a judgment call, and we reserve the right to make that call on all ventures. Many projects are not appropriate or need to be approached in a different way. We work with our partners to come up with suggestions for improvements in the plans, as well as alternatives that you should consider. Most of our rewards come from success fees. When arranging commercial loans we are rewarded with a small percent of the loaned amount. This is arranged in advance with full disclosure. The fees charged are similar to the closing costs found in most commercial loans. Regardless of the company or individual history involved with the business, there is no absolute insurance of success. Therefore, we must also charge a small application/retainer fee. In the case of assisting clients with equity investments we also receive our primary compensation based upon success. All terms will be spelled out specifically in the contract. We also charge a monthly retainer fee for most equity work. To begin the process, take a look through the pages presented here, and let us know if any of the specific programs described appear appropriate for funding of your projects. We promise to respond within two to three business days (depending upon travel schedule). The Hanson Group is the end product of many years of planning and relationship building which has positioned the company to set about the important task of sourcing funds for viable projects. A core objective of Hanson Group is the empowering of the Latin America, Europe, and African business-entities, by creating easy access to bank instruments and financing to facilitate investments in the region and on the continent respectively. The importance of job creation and wealth generation are recognized as important pillars of social stability and people development- hence our passion. While the obvious deficiency has influenced a focus on the Caribbean and Africa; Hanson Group has strategically positioned itself to work with project promoters in any part of the world. Philosophical compatibility with our clients is essential to the quality of relationship which Hanson Group seeks to promote. An essential element of our strategy is to work with various assets such as gold and diamond to package funding for development projects. In addition, the focus is less on asset security and more on the utilization of Bank instruments to facilitate quick start-ups and easier access to financing. Through the expertise of our management and technical team, The Hanson Group provides guidance to its clients, which enhance the value of their products and services with the objective of maximizing the fundamental value of their business. To accomplish this, we help business owners identify the potential drivers that will increase value, implement a system to ensure these opportunities are executed, and periodically revisit these value drivers to determine if goals are being met or need to be changed. Management is encouraged to use a business valuation and business diagnostic tool to identify value enhancement opportunities and present them to company directors or owners for alignment of opportunities with the financial goals of the business. This model is a portrait of the internal model institutionalized within Hanson Group operations. The real estate sector investments are heavily influenced by a principal driver of the economy in the Caribbean and the social conditions there and on the European and African continent. Financing of investments in the tourism accommodation sub-sector has generated a disproportionate level of interest and attention in the Caribbean region, while affordable housing and more upscale housing projects are important areas of focus in many countries in Africa, and to a lesser extent in the Caribbean. Sustainable development is an important thread which runs through all of the projects in which Hanson Group is involved, in either financing or financing and developing. The utilization of natural gas, biofuels, solar and wind energy are promoted wherever the natural resource exists. While our principal function is the sourcing and negotiation of financial instruments and financing for our clients, The Hanson Group has been and continues to be disposed to the proposition of equity participation and undertaking the requisite project management functions to ensure completion of projects to budget and on schedule. Our team of engineers, architects and project managers are highly trained and have a wealth of experience working in many parts of the world and in many cultures, particularly in the Caribbean, the Americas and Europe. With the support of our contracting partners, The Hanson Group is positioned to undertake the management and construction of literally any size of the project in any region of the world. In the regions of focus, infrastructure and resource base, sustainable energy developments are not only areas of investment opportunities but are potentially big employment generators. These areas also provide considerable opportunities for adding value to natural resources, and for the generation of shared prosperity. For these compelling reasons, The Hanson Group has elevated these areas as priority areas of focus in our project search exercises.